December 3, 2014 by Cope | Filed under New products. A new addition to our catalogue range this month is the Grant-Bio Centrifuge-Vortexer PCV-6000. 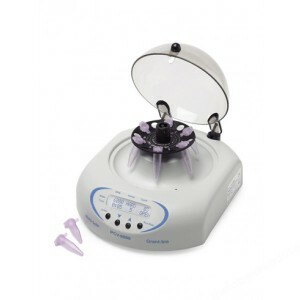 This compact benchtop centrifuge-vortexer features adjustable speed ranges 1000 to 6000rpm and can be used with interchangeable rotors for 12 x 1.5/2ml or 12 x 0.2ml and 12 x 0.5ml microtubes. Complete technical specifications for the PCV-6000 can be found on our web shop at thlabwarehouse.com by following the link below. Please contact our Sales Team if you require a quote for this or any of our other laboratory products.